Husband remembers his beautiful wife. 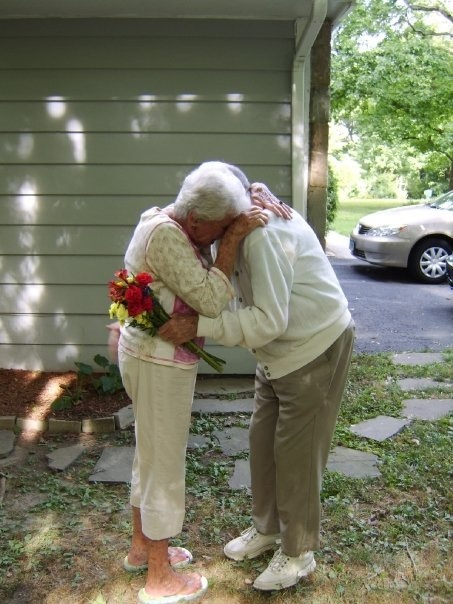 A Wonderful Couple married sixty years hug in the photo to the right. The photo became a popular and became a very highly commented on photo on Reddit. Their grandchild put the picture on the popular website making the following statement.